In the wake of the Supreme Court rulings on DOMA and California’s Proposition 8, I have been asked my thoughts on this matter. To recap, over the years so many social conservatives have looked to the federal government to uphold traditional marriage while social liberals ask the government to grant what they feel are basic civil rights to homosexuals. Well, when it comes to the issue of marriage and the federal government my thoughts are quite simple. The federal government has no constitutional authority to determine what marriage is or what it is not. It is really that simple. Regardless on which side of the social divide you happen to fall, granting the federal government this extra constitutional authority is not only improper, it is also dangerous. For those of you who run to the federal government looking for a redress on this issue, my challenge to you is to clearly show where the Constitution authorizes the government this power. Can you do so? Or has the government in Washington become some sort of catch all, a governing body of unlimited power than can decide every facet of our lives? What if the people of Massachusetts wish to permit gay marriage? Is it their right to do so? And should a heavy-handed federal government be able to squash this proposal? Similarly, what if the people of Tennessee wish to outlaw gay marriage? Are they allowed similarly to make that sort of decision? Or should the federal government intervene to promote “the national will”? Whether the definition of marriage ought to be left to the churches, the states, or the people themselves, one is hard-pressed to make the legal justification of federal involvement other than for the sake of national uniformity. Now, that’s not to say that I do not have an opinion on the subject of marriage. I do believe that healthy marriages are the fundamental building block of society and I supported the Marshall Newman Amendment to the Virginia Constitution in 2006 that defined marriage in this state as being between one man and one woman. However, that decision came about through an amendment to our state constitution, the most fundamental ruling document in this state. It wasn’t a mere law, but a power that required constitutional changes to allow the government to take a stand. This same rule should apply to the federal government as well. If it wishes to take a position on this issue either in favor or opposition to gay marriage, then pass a constitutional amendment allowing it the authority to do so. Granted, it is not an easy process, but, much like the drug war, without this explicit power, any action that the federal government takes in this matter is a clear violation of the governing rules of our nation. Regardless of how you fall in this issue, whether you seek to promote traditional values or to enhance the civil rights of our fellow citizens, I caution liberals, conservatives, and even some libertarians not to look to the federal government to solve this issue of marriage. Keep in mind that whenever you surrender authority to this increasingly unrestrained body, you lose any moral grounds to complain in the future should they one day take a position that stands in stark contrast to your own. 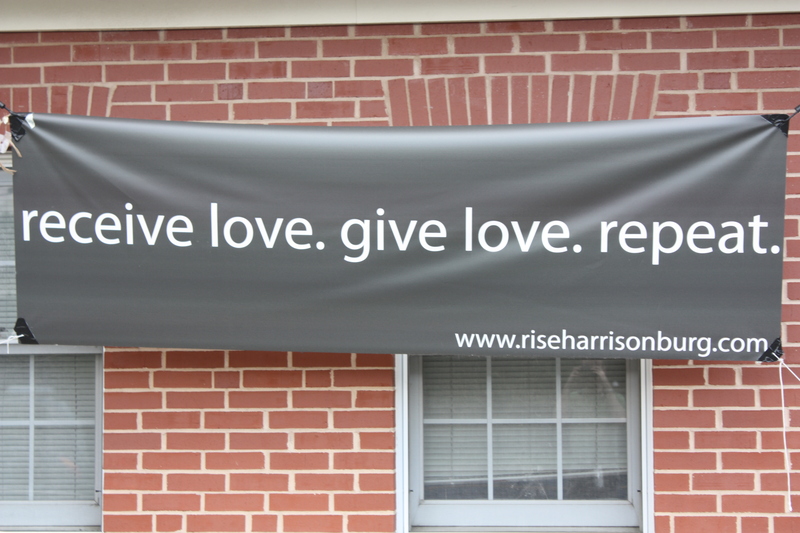 Since November of last year, I have been attending a Methodist church in downtown Harrisonburg called RISE. For those who know me, this news may seem a bit odd; after all, I am not a Methodist and still am a member of a local Presbyterian church. So what would draw me to this church? Well, like a playwright or a musician, my actions were inspired by a woman. Now, in truth, my church attendance in recent years has been a bit spotty. Since coming to the realization that I was no longer a Calvinist, I dabbled in a few other churches, including the Seventh Day Adventists, but nothing ever lasted for more than a month or two. My last roommate at William & Mary, who has since become a Methodist minister in the northern Shenandoah Valley, had been encouraging me to rejoin a church community, but the problem was that my faith no longer fit neatly into a preformed denomination. Although I was never specifically invited to RISE, I decided to attend my first service back in November as a way to show this friend that I cared for her. In the weeks and months that followed, our relationship flourished, was snuffed out, rose again from the ashes, and has now, unfortunately, disintegrated completely. I’m not going to into the details of what happened here, but I will say that it has been one of the most difficult times in my life. The joy of discovering someone who became so special to me only to lose everything, to find my hopes and dreams that I had been building high into the clouds suddenly collapse into a heap of useless rubble was almost more pain than I could bear. And yet, through these difficult trials, much like my friends, RISE has been there for me. It is much more than mere church service every Sunday; it is a group of fine individuals who genuinely care about others, who ask me how things have been going, who know of the trials I’ve suffered, and who have prayed with me through the whole ordeal. They have given me the strength to carry on when I was at my lowest and, as you might imagine, I am immensely grateful. So what’s the take home message for you, my good reader? Although there is great merit in studying the scriptures on your own, as I have done most nights before bed for more years that I can remember, my advice is to similarly find a supportive religious community that you too can call home. Sure, you may have theological differences, I still don’t consider myself a Methodist, but that doesn’t mean that one cannot find and forge strong bonds with new brothers and sisters in Christ. In closing, although my Facebook friends have already heard this song, I’d like to share a bit of music I listen to when I’m sad or my faith needs a little bolstering. Given that RISE plays contemporary music, maybe one day they will play this one as well. Whatever dark trial you maybe be facing today, or a new challenge that arises tomorrow, it is likely that you too could benefit from the folks who meet in the theater behind Capital Ale in downtown Harrisonburg. Perhaps a community like RISE will give you the support you need to endure. Last night, I joined about a dozen or more local political activists at a restaurant in downtown Harrisonburg for about two hours. As the title of this piece implies, the group was a social gathering called Drinking Liberally. Now, it seems likely that many of you might question why I, the author of a blog entitled “The Virginia Conservative”, would willingly choose to spend any time with a multitude of self-avowed liberals. After all, aren’t these people our political enemies, a group that should be shunned at every turn? When I first became embroiled in politics a number of years ago, I held a similar view of political activists across the aisle. These people are unreasonable, intolerant, and best avoided. As far as I could tell, they didn’t care much for me, so why should I treat them any differently? However, in recent times I have come to a somewhat different realization. For example, prior to attending a number of Libertarian functions many years ago, I held a rather dim view of those sorts of people. However, the more time that I spent around them, the more I realized that we actually did share a number of common interests, that they were not some radical monolithic group that wanted nothing more than to spend their day smoking pot and abolishing all forms of government. Perhaps the best aspect of all was the friendships that came about as a result of our time together, including one that I treasured more than all of the rest combined. Now, I admit that I don’t share much, if any, political ground with most liberals these days. Issues that might normally unite us, like a concern for the erosion of our civil liberties and a rejection of an interventionist foreign policy seem less likely given that President Obama has been promoting policies that stand in stark contrast to these views. Nevertheless, that doesn’t mean, nor should it mean, that each and every self-identified liberal endorses this course of action simply because a Democratic president does as well. Just a handful of conservatives (not enough in my mind) opposed these same big government policies of Republican George W. Bush. It is natural for people to band together into like-minded camps such a liberals, conservatives, libertarians, statists, and the like. However, the sickness in American politics is that there is very little communication between these groups these days, in part, because we are constantly bombarded with an “us against them” mentality promoted by the talking heads on radio and television. However, I believe that this widening gap is a situation that can and ought to be remedied, which is why I attended this gathering last night. Now, I didn’t, of course, either literally or figuratively enter the group wearing a sign proclaiming my conservatism; doing so would likely would have created an air of hostility and suspicion from the onset. Rather, I sat down with a number of folks and spoke to them one on one about issues, current events, and predictions for the future. Yes, believe it or not, the other side isn’t some collection of political monsters. As some of you may know, I am currently in talks with a local radio station to craft a new radio program about state and local politics that explores a multitude of political opinions. Ideally, I hope to showcase the entire political spectrum, not to degrade these other viewpoints, but to create an atmosphere where discussion and rational thought is encouraged rather than simply shouted down. Although I am not a liberal, nor do I have any plans to become one, I still enjoyed my time with the Harrisonburg and Rockingham liberals last night. Despite our differences, it is my hope that we can expand this interpolitical dialogue so that each of us can express our viewpoints without fear of rejection or immediate condemnation. That, I believe, is the hallmark of a classically liberal society, an ideal that we should all strive to achieve. 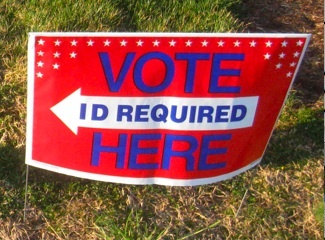 Tomorrow features a number of party primaries across Virginia. In some districts, incumbent members of the House of Delegates are facing challengers from within their own party. 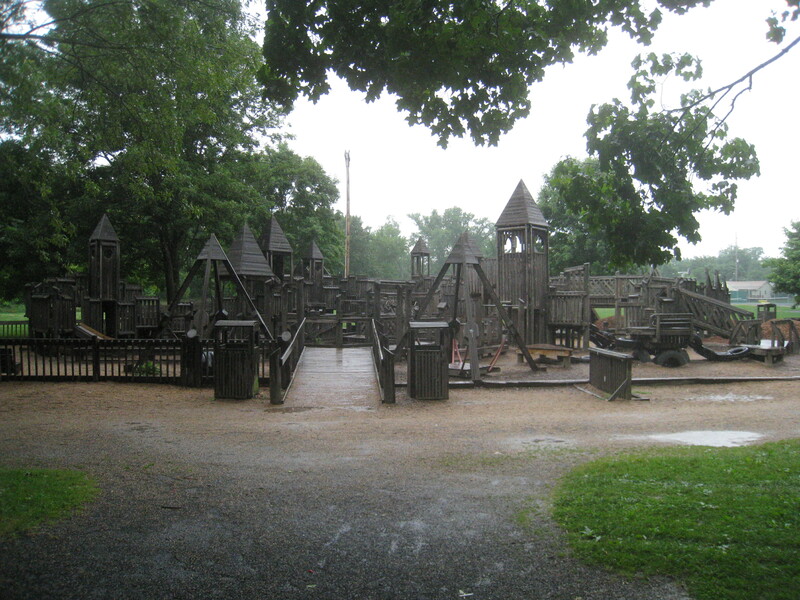 For example, in the northern Shenandoah Valley, Delegate Bev Sherwood faces Dr. Mark Berg and Delegate Todd Gilbert squares off against Mark Prince. All in all, about half a dozen Republican delegates have an interparty challenge. In addition, two Democratic delegates also will also have to defend themselves from within their own ranks. Delegates in a vast majority of the commonwealth are unchallenged. However, regardless of the delegates’ races, in every single polling place there will be a primary; the Democratic Party will be selecting their nominees for lieutenant governor and attorney general for the 2013 general election. Given that Virginia does not have party registration, every voter, regardless of party preference, can vote in tomorrow’s primary. It is not merely a contest for Democrats, but for Republicans, Libertarians, Greens, Constitutionalists, and independents. However, with those thoughts in mind, one important exception is that no one can vote in both parties’ primaries. Therefore, if you vote in a Republican contest on Tuesday, you will be ineligible to participate in the Democratic one as well (or vice versa). Now, many Republicans I know are abstaining from voting tomorrow, claiming that it would be improper for Republicans to participate in a Democratic Party issue. I take a different approach. If the Democratic Party didn’t want outsiders to participate, then they would have held a convention like the Republicans did on May 18th and the Libertarians did on April 21st. In addition, given that the contest is decided by a primary, that means that the Virginia taxpayers pay for Tuesday’s contest. If a party takes my money, either directly or indirectly, then I believe that I am entitled to voice my opinion in that process. But for which of the candidates should you vote? Well, there are several competing theories, that I discussed more in depth in an article four years ago. You could vote for the candidate who you believe is the strongest (or weakest), in order to give the Democratic Party the best (or worst) chance of victory. However, my recommendation is to support whichever candidate best represents your political principles. After all, if a Democrat does win in the general election in November, I’m hoping we would get the most conservative of the candidates (assuming such a candidate exists). 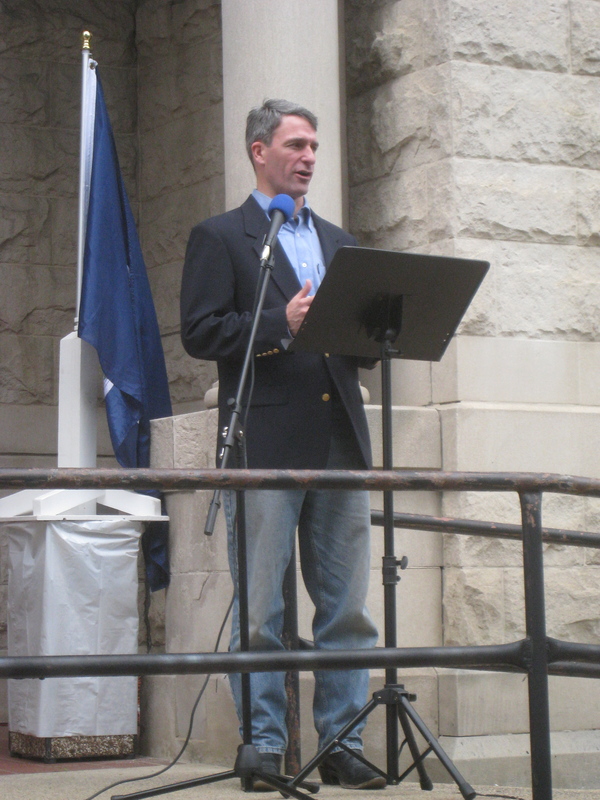 For me, control of the Virginia Senate is a very important issue in the LG race. Given his openness to creating a power sharing agreement in the Virginia Senate (which is currently evenly split between Democratic and Republican Parties), I will be casting my primary vote for Ralph Northam. Then again, this very same issue may be the driving point which convinces some of my more liberal friends to choose Aneesh Chopra. Although I know that many of my readers have no plans to vote in tomorrow’s primary, I still encourage you to learn about the various choices and cast a ballot based upon your research. Never go to the polls in ignorance; arrive well informed. Our political system requires a knowledgeable electorate. Thanks to Lowell Fulk for indirectly reminding me to write this piece through his Facebook post. 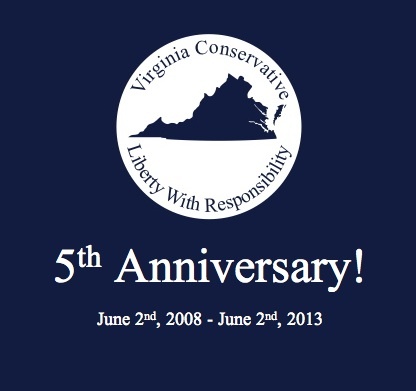 Well, ladies and gentlemen, today is a special day because it marks the fifth anniversary of The Virginia Conservative. Five years! Hard to imagine that so much time has passed. What a trip we’ve had! Some of you have been with me since the beginning while others have just recently discovered my site. Throughout this time, I have strived to provide you with interesting political news and commentary and hope that I’ve succeeded in this endeavor. Who could have predicted back on June 2nd of 2008 that this blog would not only still be running five years later, but enjoying a significant boost in traffic and readership? It has been a rewarding experience for me, dear reader, and I hope it has been for you as well. As a result of this site, I’m pleased to say that I’ve been featured in the LA Times, appeared on several different radio and TV programs, and had the fantastic opportunity to meet a host of politicians and those seeking political office. It has been an fantastic journey and I hope my exploration of politics gets even more exciting in the years to come. Although I don’t typically make a plug for fundraising, if you would like to join me in this celebration, please consider making a small donation through the donation button on the bottom right column on this page. I would certainly appreciate it. So, where do we go from here? I hope that you’ll continue to stick with me so that we can find out together!